Les Quatre Cents Coups est un film au sujet de la vie difficile d’un adolescent, Antoine Doinel. Sa mère pense qu’il est inutile. Avant Antoine est né, sa mére veut avoir un avortement. Son pére est un ami d’Antoine, et il l’aime. Son profs le déteste. Quand Antoine fait les mauvaises notes en l’école, sa vie tourne à l’envers. Antione est un fauteur de troubles en l’école. Son malice le cause faire mauvaises notes. Son parents n’aime pas son notes, si ils devenit plus dur sur lui. Un jour, Antoine plagie et son père le gifle pour il. Aprés cet incident, Antoine fuit de son maison. Il va habiter avec son ami de l’école et devenit un voleur. Après il vole un machine à écrire de son père, il est pris et il va au établissement correctionnel. Fin. I thought The 400 Blows was a very true to life movie. All the events that happened to Antoine seemed real, not made up. Everything that he experienced could happen to anyone. This French New Wave film did not have a Hollywoodesque feel to it; it felt like a real story to which people can relate. This movie could very well have been a documentary. Actually, it was based on some of François Truffaut’s childhood experiences, so it had some truth in it. Truffaut wanted this movie to have a personal touch to it so it could in turn touch the audience. The music in The 400 Blows was lovely. All French music is particularly amazing, but I feel the music in this music was brilliant for its time. It felt like a soundtrack that would be played to life. It’s like life’s elevator music: pleasant, calm, and encouraging. The music gave the movie a down to earth air to it, again separating it from the big movie studios, as characterized by La Nouvelle Vague. 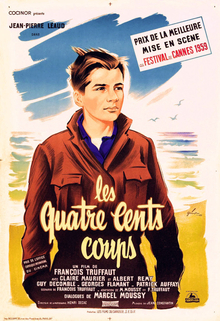 Les Quatre Cent Coups was filmed on location. The school and the apartment of the Doinel family was not recreated in a studio. It was real. The movie, also, had one very prominent jump scene where Antoine and his father are in the kitchen laughing and preparing dinner, and then it jumps to the living room with Antoine’s father yelling at him because he thinks Antoine stole one of his magazines. I think Truffaut filmed it that way to show how quickly emotions can change between family members. The movie also used direct sound with the children playing in the schoolyard. How do the colors, light, and surroundings affect the overall mood in the film? Since my movie was in black and white, color is hard to discern, but the environment and lighting played important roles in setting the mood. The school was very cramped, dirty, and dark. This saddens the mood of the story. The apartment was very small and also had little light. It could barely house three people. Somehow the Doinels managed. This establishes sympathy toward Antoine for enduring his current living conditions. The friend’s house was a mansion and was well lit, which lightened the mood for a brief period until he was arrested. One dominant theme of this film is unjustified hardship. Antoine endures many problems that he does not deserve. His teachers hate him for no reason, his mother treats him like she never wanted a child, and his father abused him. No child should have to face that, and yet Antoine did. Antoine had no choice in the matter of setting his life, it just happened. He did however make the choice of improving it by escaping all his hardships. He chose to run away. The only American movie I can think of that is remotely like Les Quatre Cents Coups is Cheaper by the Dozen. In Cheaper by the Dozen, one the characters run away from home because he felt like he didn’t belong there. He wanted to try to find a way to improve his life by escaping the one he was already living, just like Antoine. 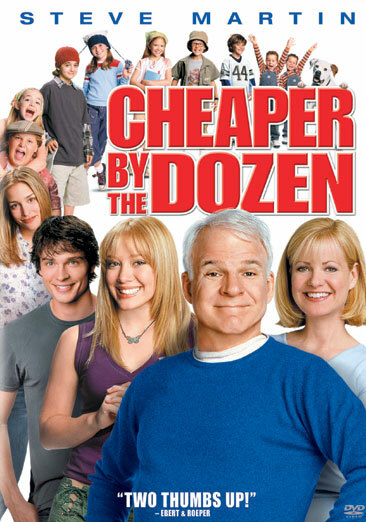 Although Cheaper by the Dozen is a comedy, it still relates to The 400 Blows.